Variable exponent spaces and Hardy operator space have played an important role in recent harmonic analysis because they have an interesting norm including both local and global properties. The variable exponent Lebesgue spaces are of interest for their applications to modeling problems in physics, and to the study of variational integrals and partial diﬀerential equations with non-standard growth conditions. This studies also has been stimulated by problems of elasticity, fluid dynamics, calculus of variations, and differential equations with non-standard growth conditions. In this study, we will discuss a characterization of approximation of Hardy operators in variable Lebesgue spaces. 1. Bernstein, S, N, Demonstration du teoreme de Weirerstrass, fondee sur le calcul des probabilites, Communication Society Mathematics, 1913, 13. 2. Berens, H, Lorentz, G, G, Inverse theorems for Bernstein polynomials, Indiana University Mathematics Journal, 1972, 21, 693-708. 3. Berens, H, DeVore, R,A, Quantitative Korovkin theorems for positive linear operators on Lp spaces, Transactions American Mathematical Society, 1978, 245, 349-361. 4. Ditzian, Z, Totik, V, Moduli of Smoothness, Springer, Series in Computational Mathematics, Springer-Verlag, 1987, (9). 5. Bing-Zheng, L, Bo-Lu, H, Ding-Xuan Z, Approximation on Variable Exponent Spaces by Linear Integral Operators, Journal of Approximation Theory, 2017, 223, 29-51. 6. Orlicz,W, Uber konjugierte Exponentenfolgen, Studia Mathematica, 1931, 3, 200-211. 7. Acerbi, E, Mingione, G, Regularity results for a class of functionals with nonstandard growth, Archive for Rational Mechanics and Analysis, 2001, 156, 121-140. 8. Blomgren, P, Chan, T, Mulet, P, Wong, C, K, Total variation image restoration: numerical methods and extensions, Proceedings of the 1997 IEEE International Conference on Image Processing, 1997, 3, 384-387. 9. Bollt, E, M, Chartrand, R, Esedoglu, S, Schultz, P, Vixie, K, R, Graduated adaptive image denoising: local compromise between total variation and isotropic diffusion, Advance Computational Mathematics, 2009, 31, 61-85. 11. 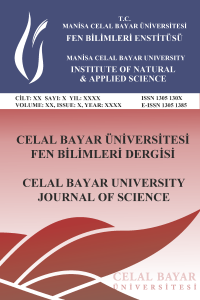 Mamedov,F, Zeren,Y, Akın, L, Compactification of weighted Hardy operator in variable exponent Lebesgue spaces, Asian Journal of Mathematics and Computer Science, 2017, 17:1, 38-47. 12. Fan, X, L, Zhao, D, On the spaces Lp(x) and Wm;p(x), Journal of Mathematic Analysis and Applications, 2001, 263, 424-446. 13. Diening, L, Harjulehto, P, Hastö, P, Ruzicka, M, Lebesgue and Sobolev Spaces with Variable Exponents, Springer-Verlag, Berlin/Heidelberg, 2011. 14. Stein, E, M, Singular Integrals and Dierentiability Properties of Functions, Princeton University Press, Princeton, New Jersey, 1970.